I used Core'dinations Vintage Cardstock for the sun (distressed with the Imaginisce d-stresser and torn Jenni Bowlin Core Impressions. I added the fabulous Echo Park For the Record 2 Documented. I love this new line! You can pick it up at Scrapbook.com HERE. Your Halloween page is so fun. Each of those little characters looks great. You did a great job stamping and coloring. 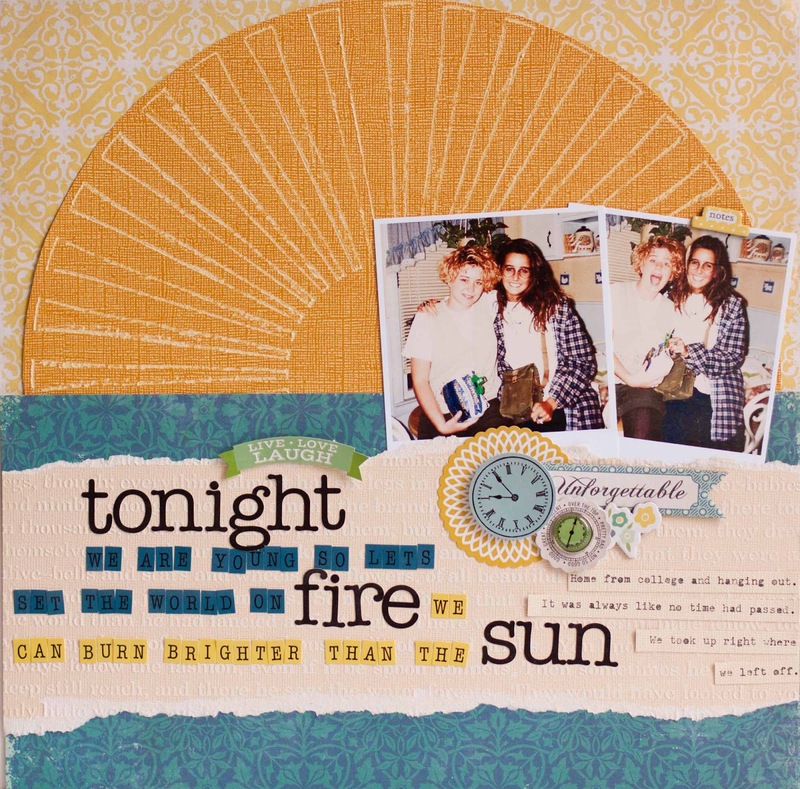 Cool huge sun element on your second page! Beautiful layouts!! I really love the 2nd one and how you made that sun. Such a fantastic page design!! I hope your boy gets better soon!! wowowowowowowow that sunray on the Core really rocks BIG time Rebecca! sorry to hear mr. man is sick, I hope he feels better soon! GREAT Halloween layout and GREAT pictures on the second--is that you with the blond hair?! These are really great! 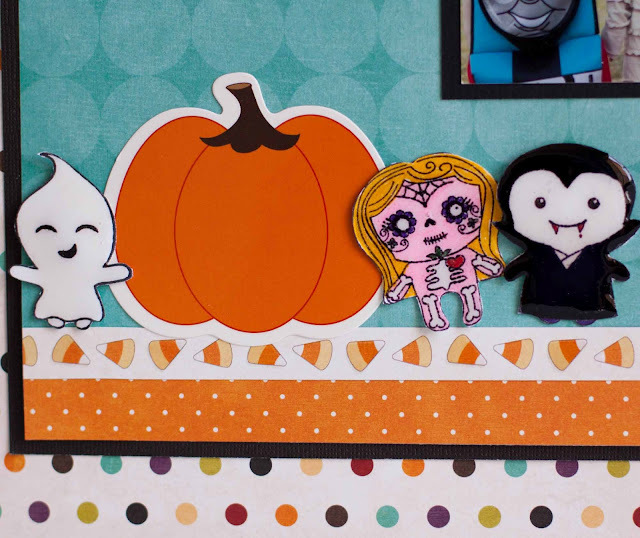 That Halloween layout is SO FUN! These are both great and I love that Halloween photo! 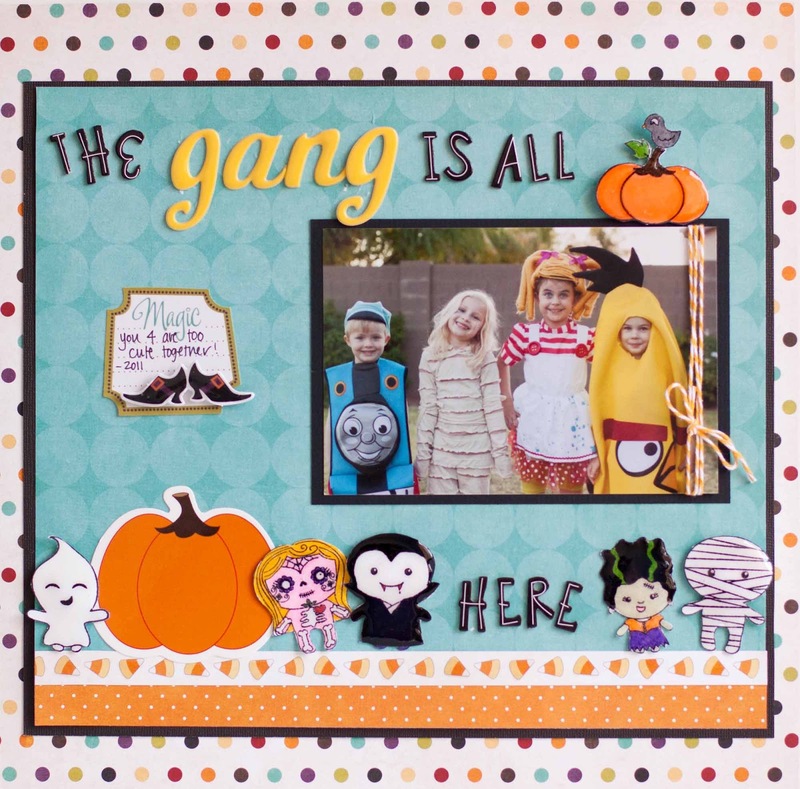 Love the Halloween layout and you can feel the fun the kids are having! Commented on the Core blog about what a fantastic idea using your distressor is!